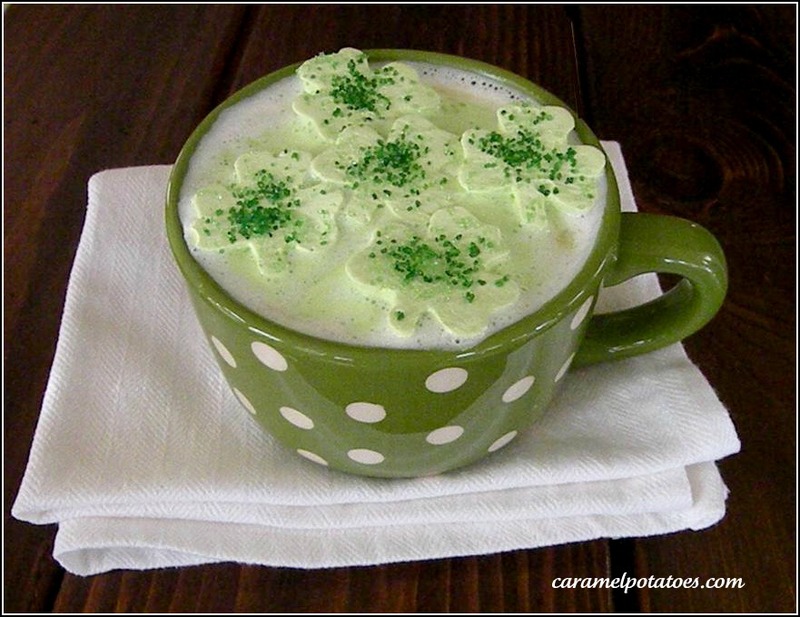 Adding the shamrock marshmallows is a fun idea for St. Patrick’s day! We have a basic marshmallow recipe here. And if you don’t have time to make the shamrock marshmallows, you could always just add a little green food color to the cocoa for a spot of green on the day! P.S. It’s not required to wait until March 17 to try this hot cocoa . . . however, to truly appreciate the cocoa goodness, I do recommend you make sure to find a few minutes to relax and savor every drop! Heat milk, cream and vanilla until it is about to boil (on the stove top or in the microwave). Add the white chocolate chips and allow to set for one minute, then stir until chocolate is completely melted. Now put your feet up and enjoy! Find the basic recipe for marshmallows here. Replace the vanilla with mint extract and add green food coloring. I added some green sprinkles just for fun! Mmmm this looks wonderful AND beautiful! Love those marshmallows floating on top! Stumbled onto your blog and just wanted to show you some blog luv! def enjoyed this post :)that looks so yummy! !